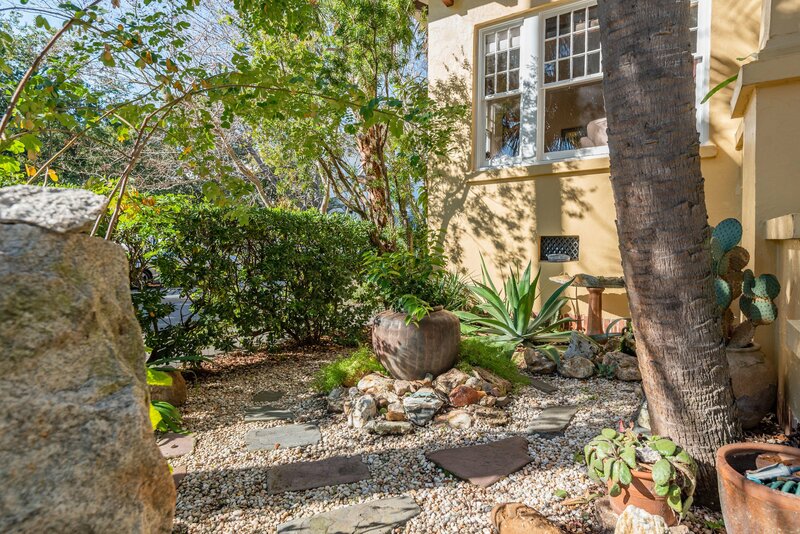 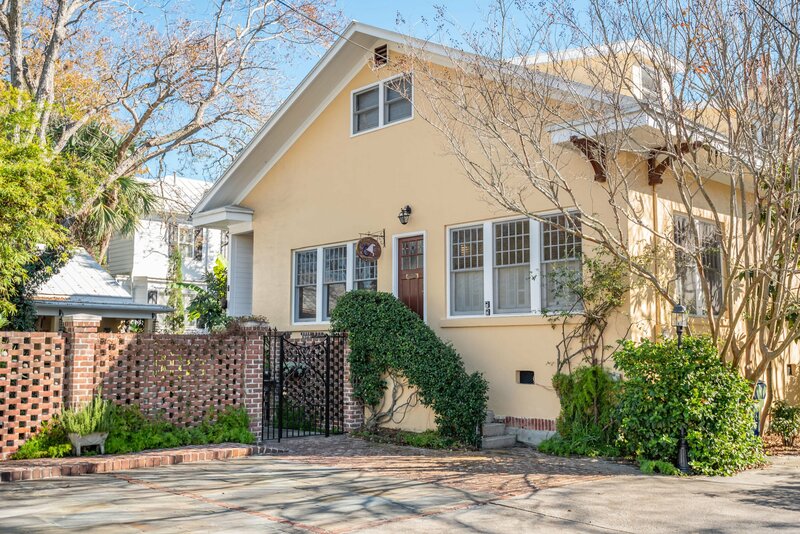 The Merhaven, a unique two-story California-style bungalow on a double, corner lot, is a treasured find on the Peninsula. 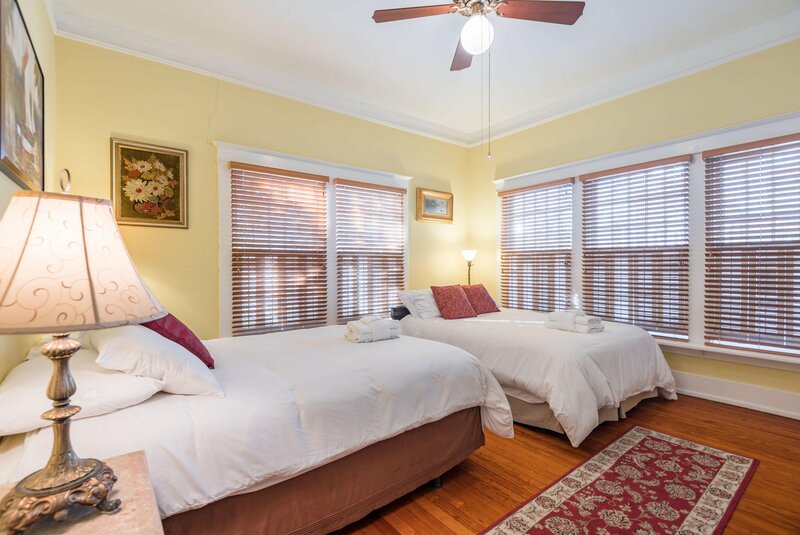 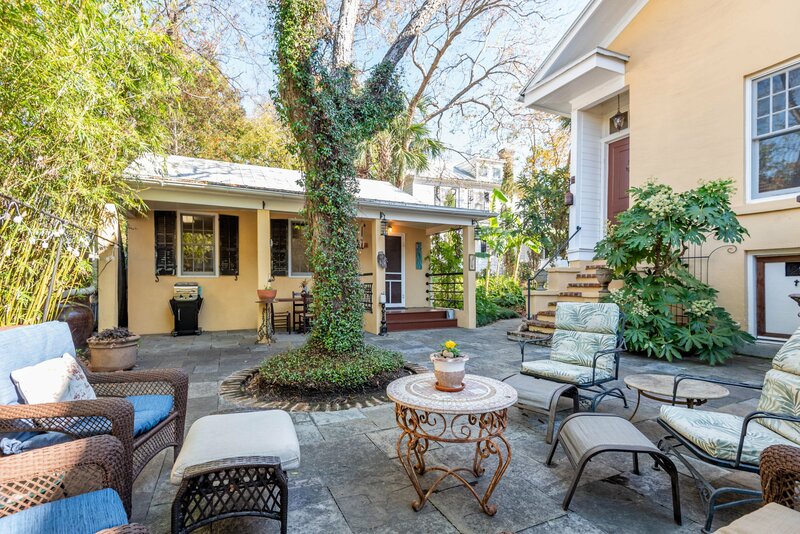 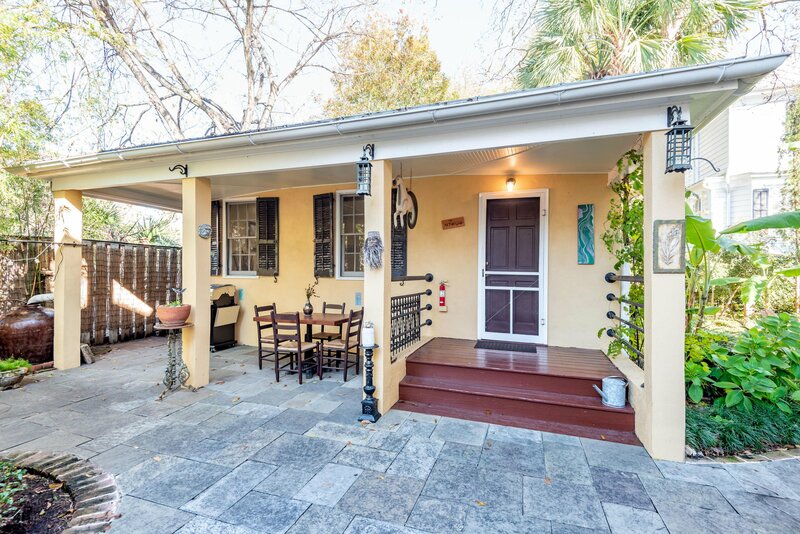 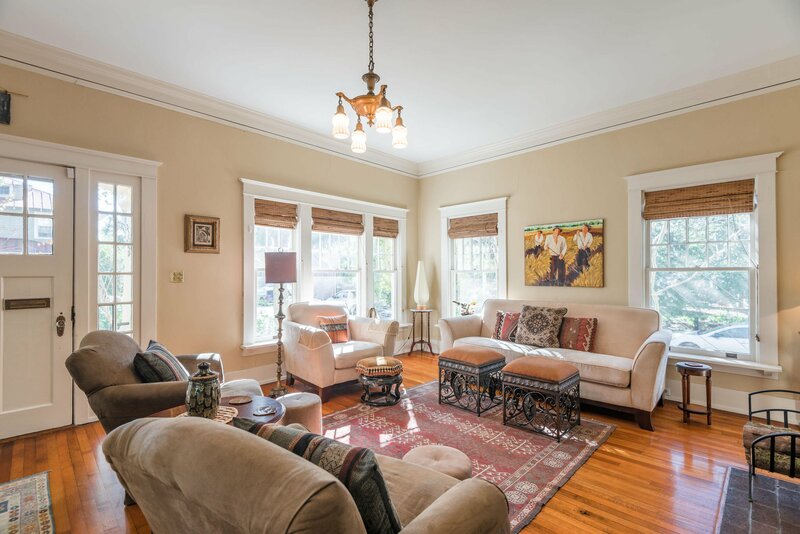 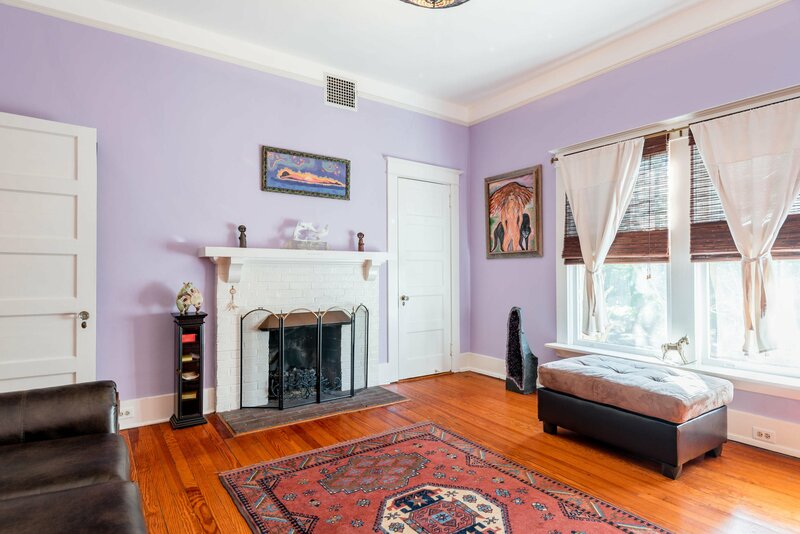 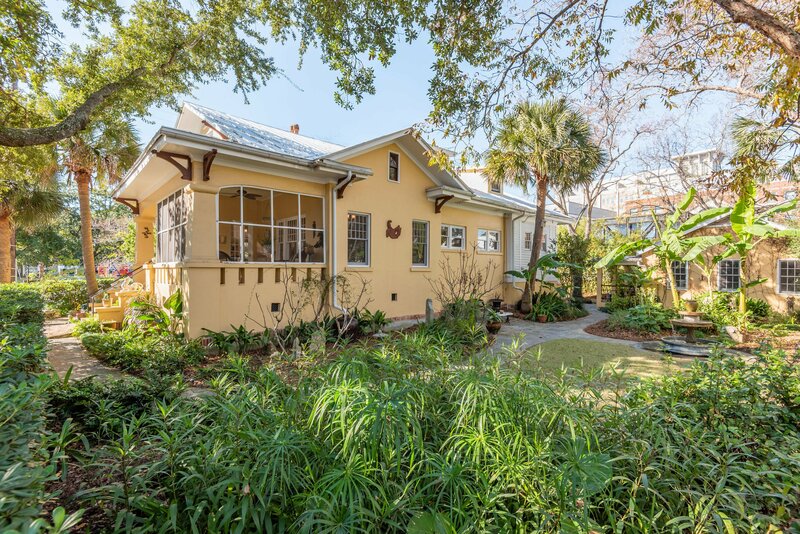 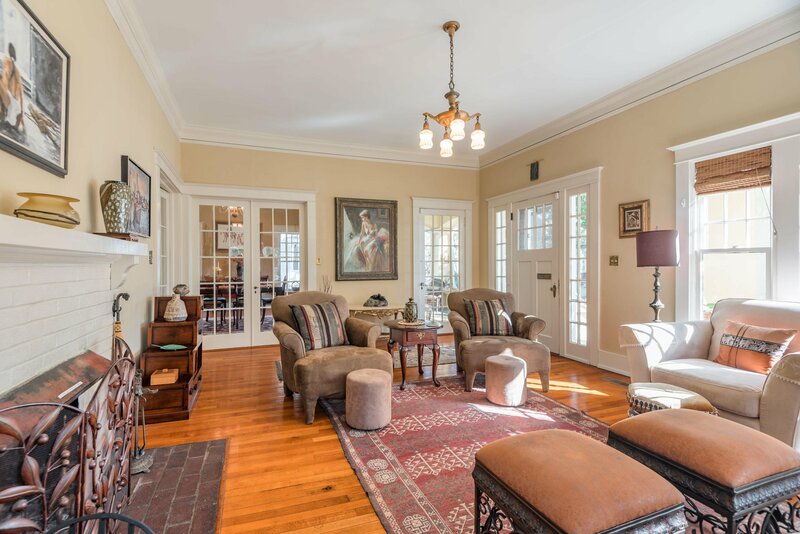 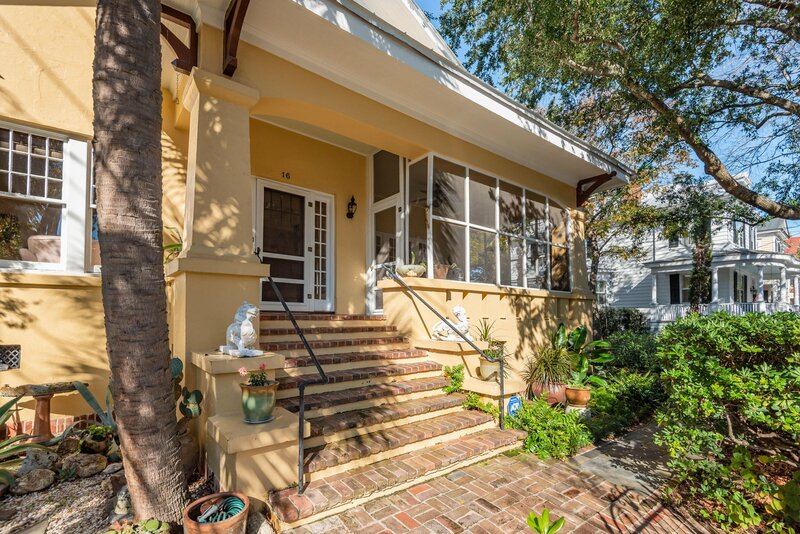 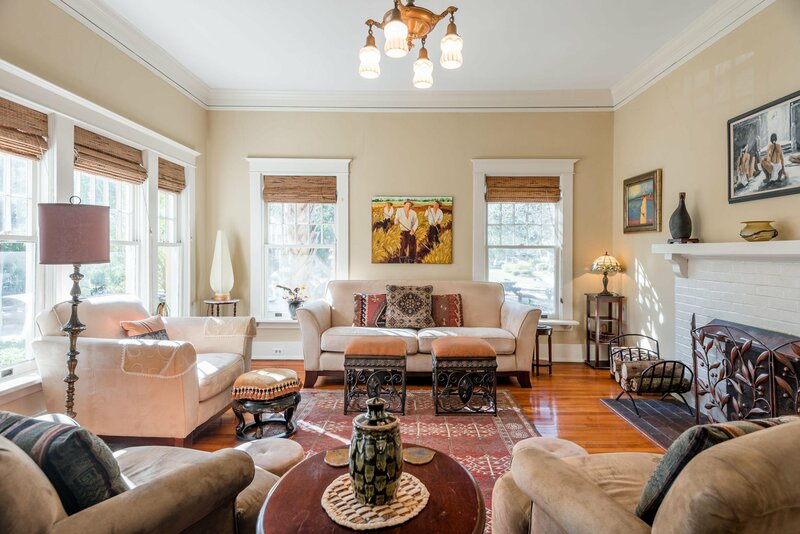 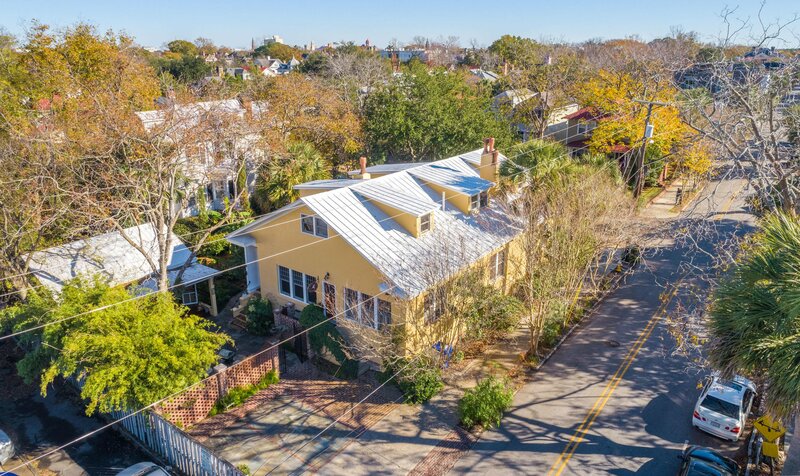 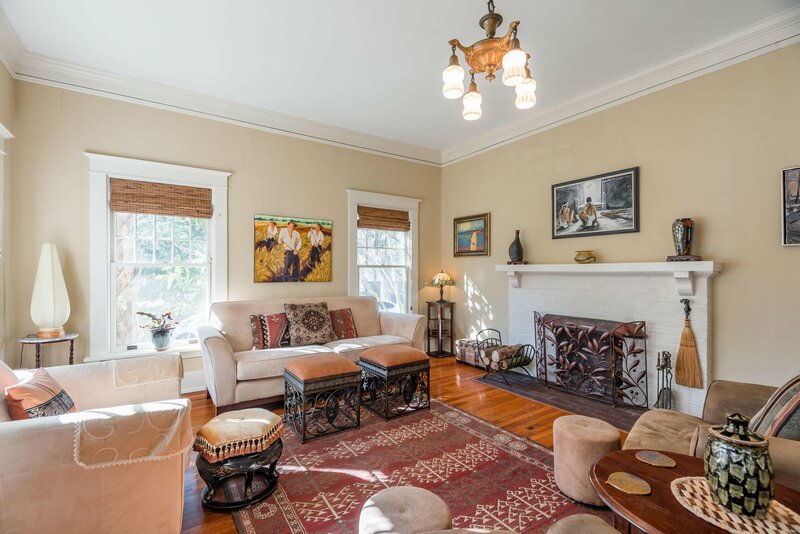 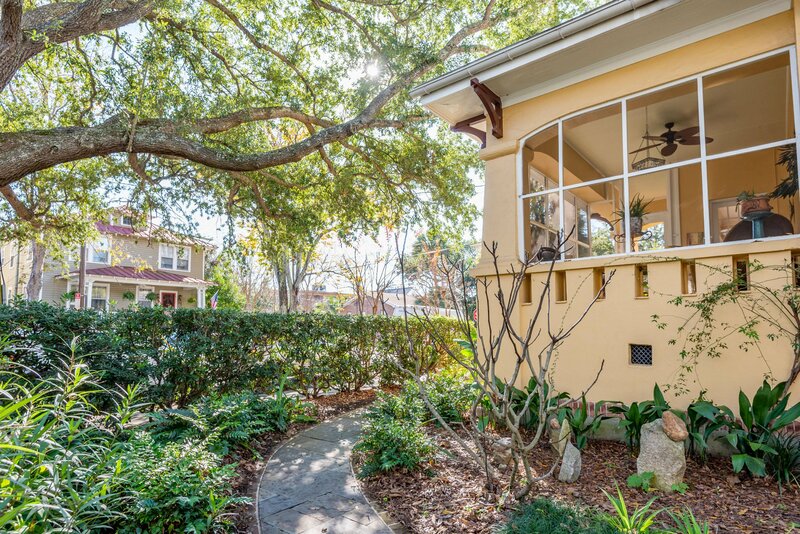 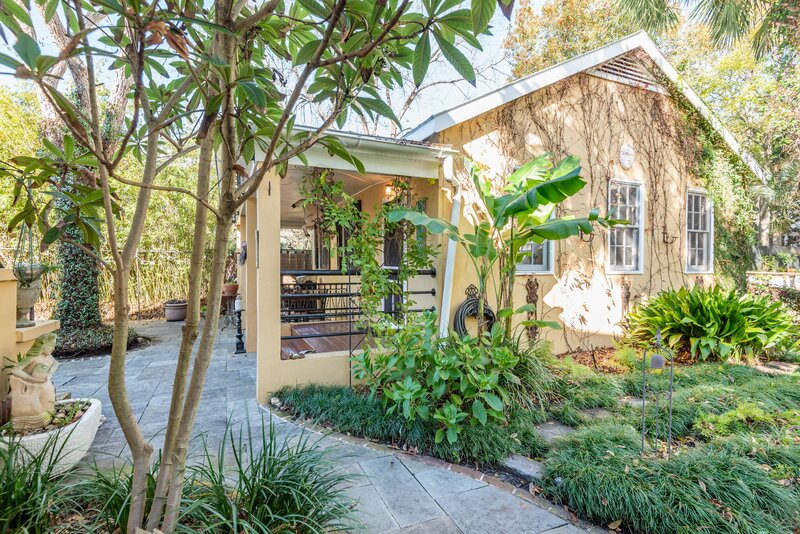 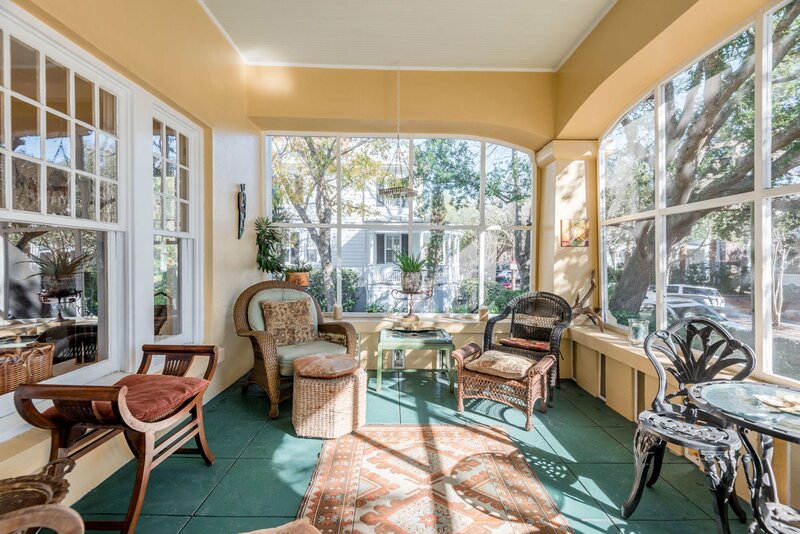 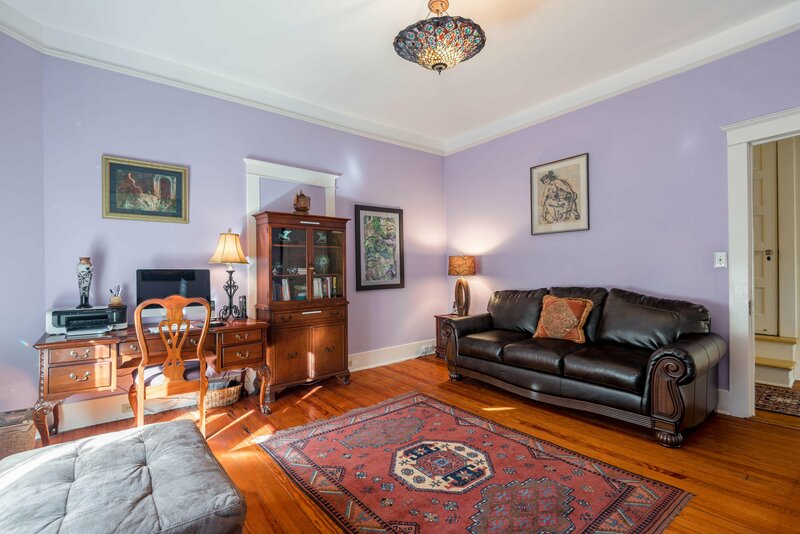 Located in historic Harleston Village, this 5BR, 2.5BA house is in the heart of downtown Charleston, minutes from MUSC, CofC, and acclaimed restaurants and attractions. 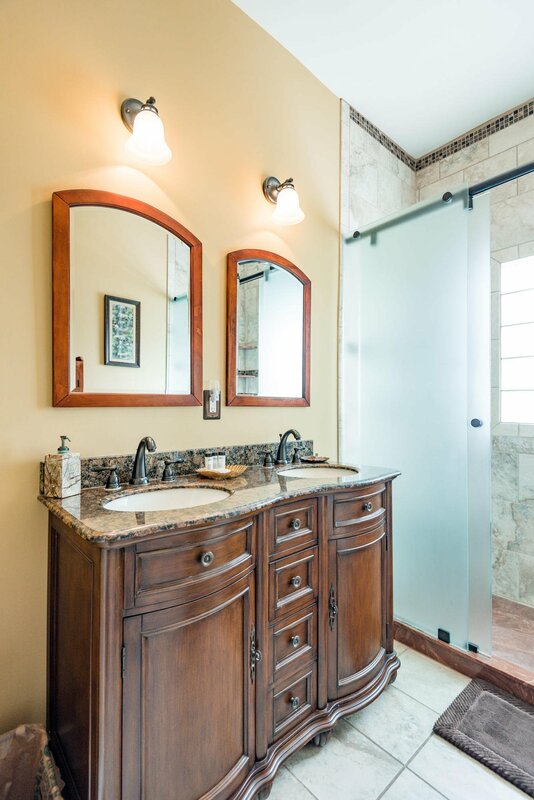 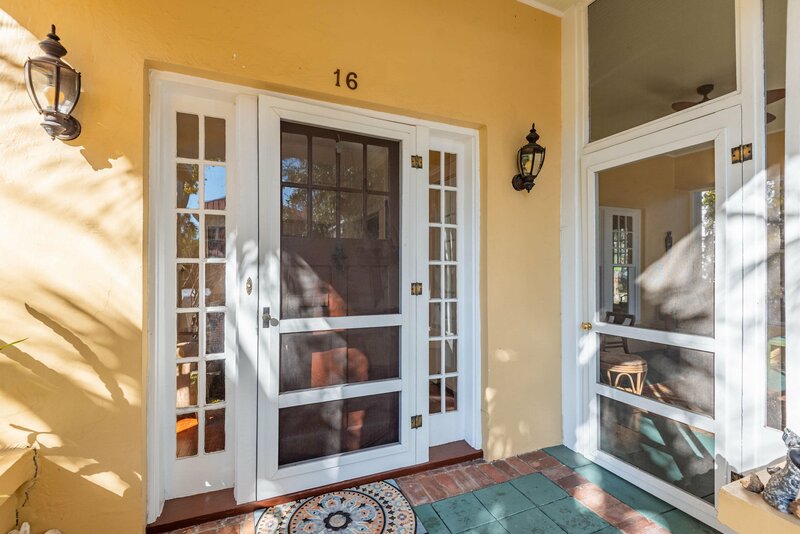 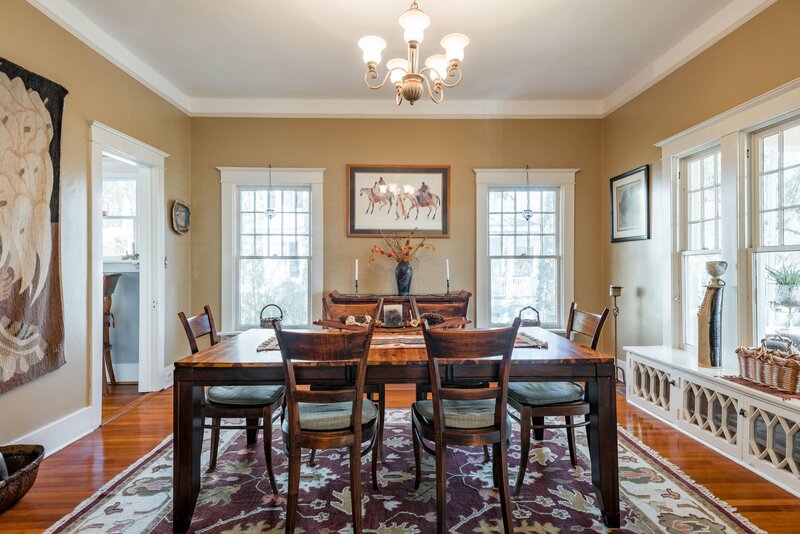 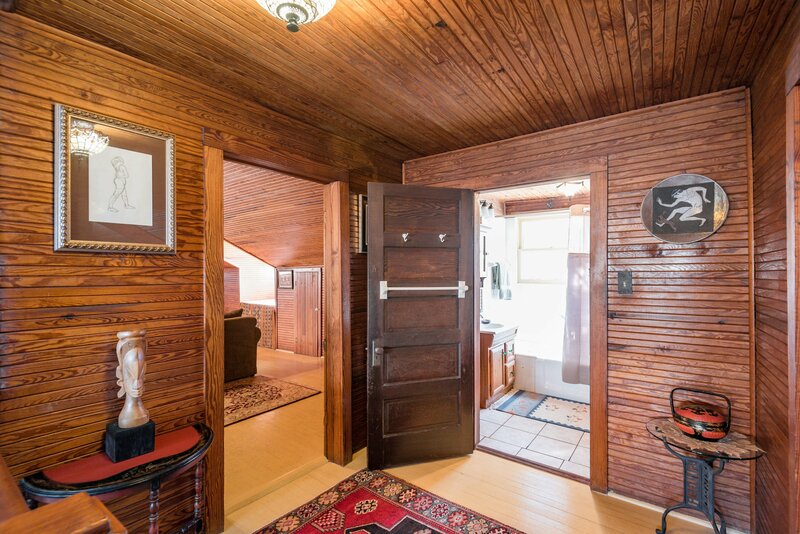 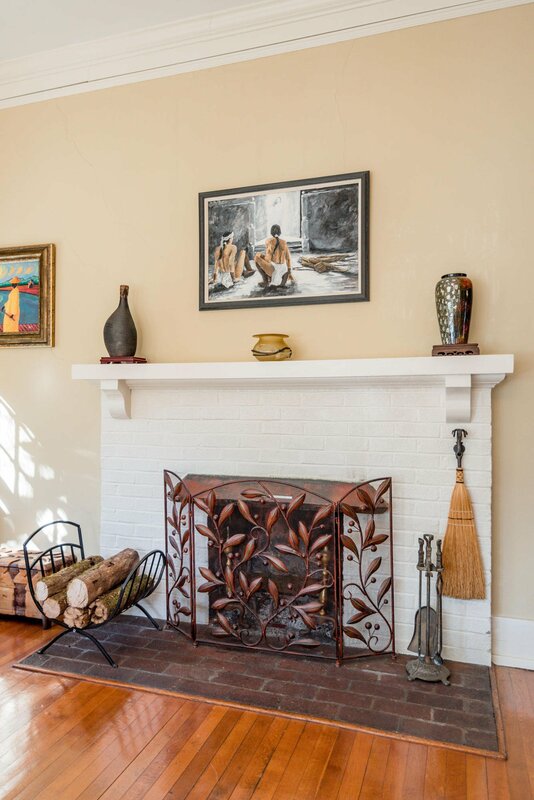 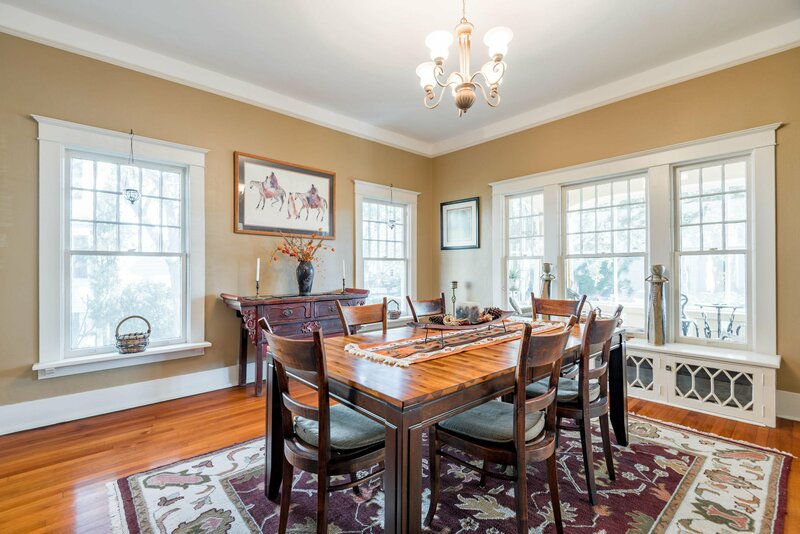 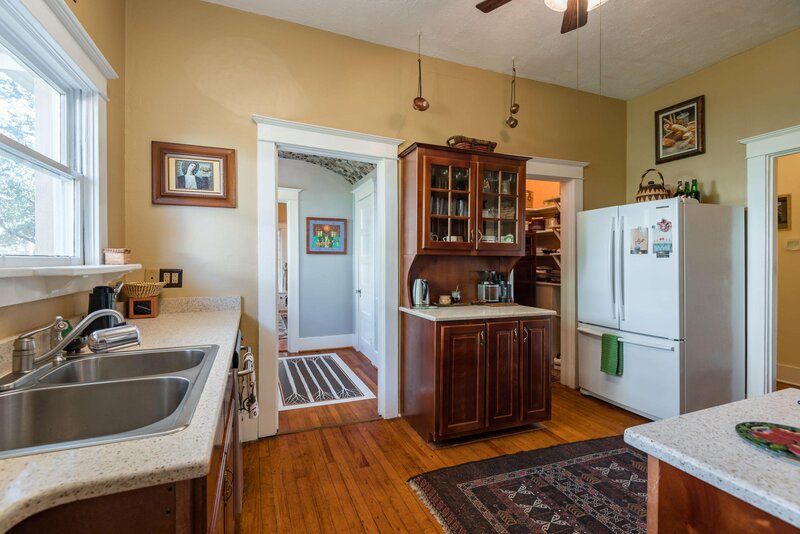 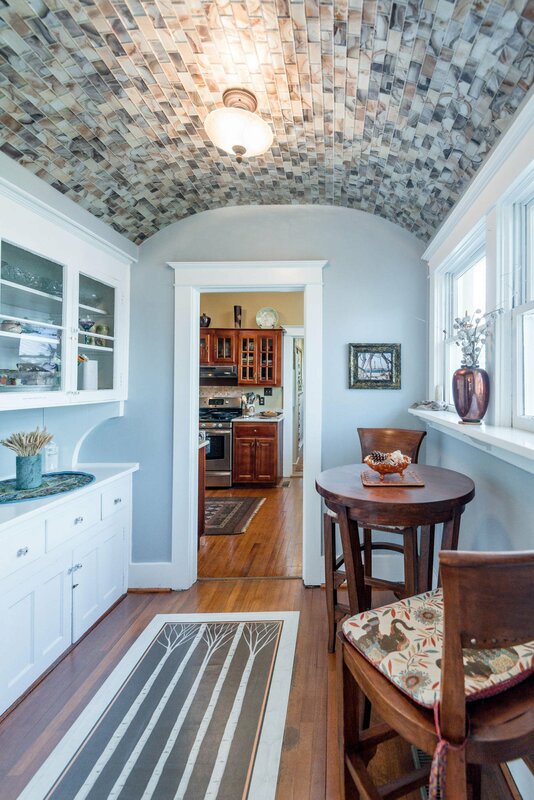 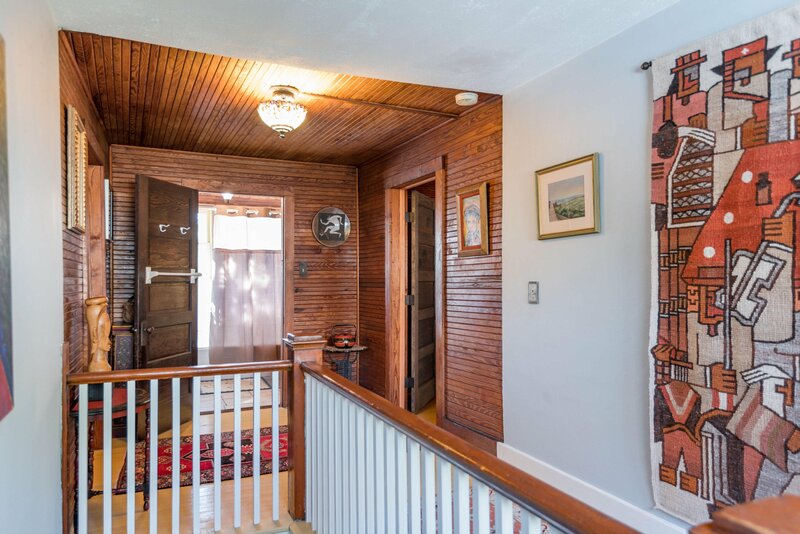 Inspired by the 1920's Arts & Crafts Movement, the original charm is seen in the wonderful craftsmanship, French doors, working fireplace, and charming woodwork throughout the house. 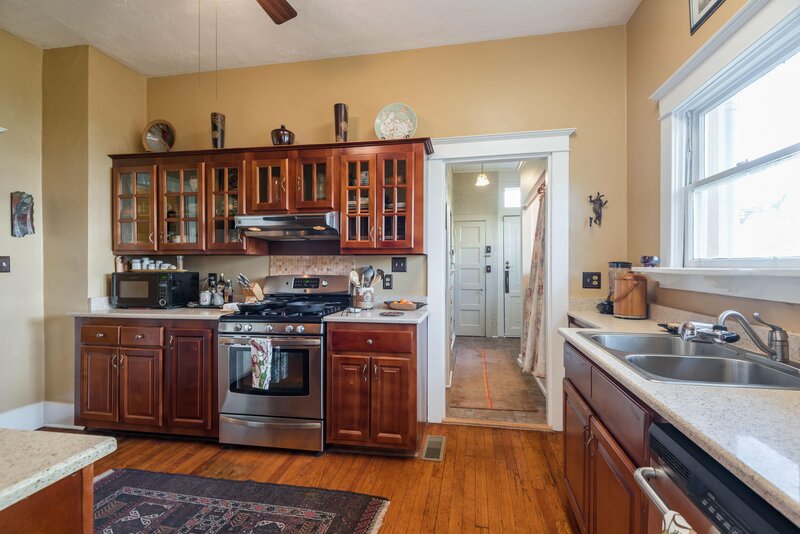 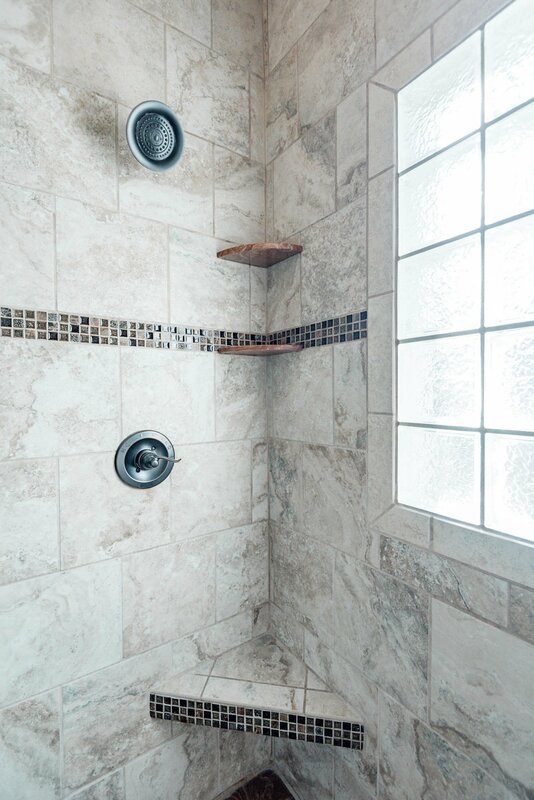 The large, sunlit rooms and recently updated kitchen and bathrooms offer plenty of space for a family, with a delightful butler pantry and additional bonus room, replete with a gas fireplace. 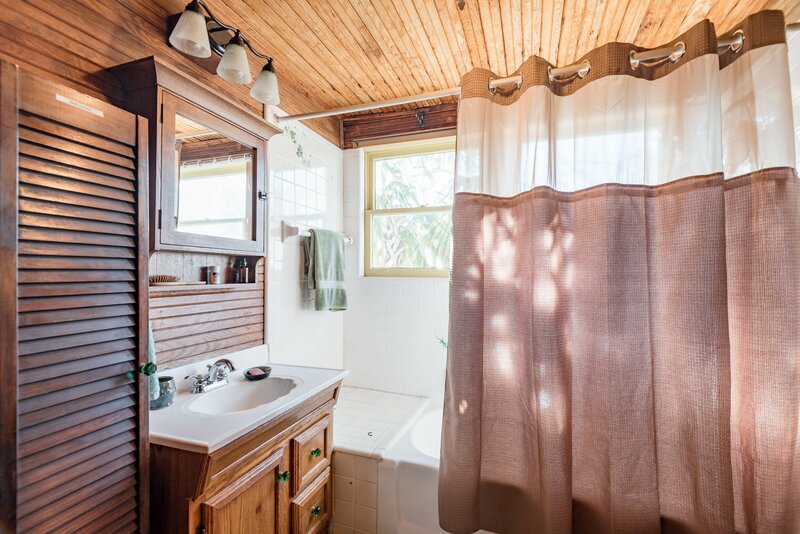 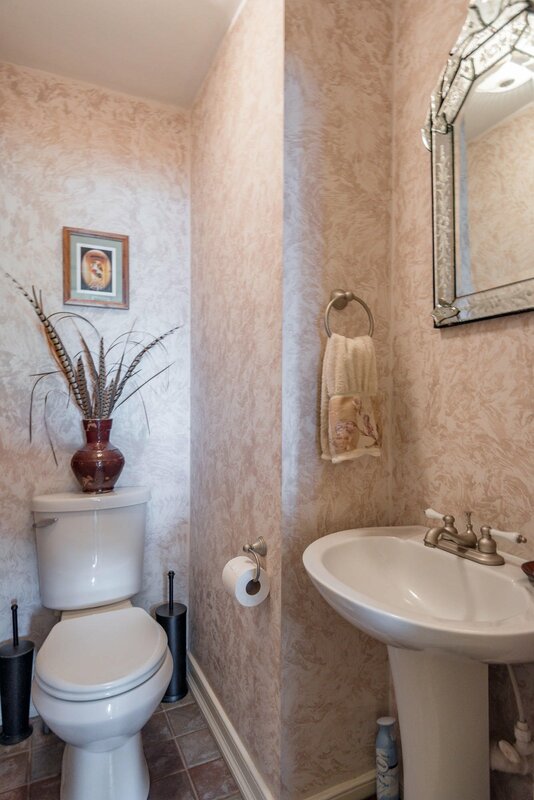 Included is a commercial washer and dryer, regularly-serviced HVAC system, and kitchen appliances that have been upgraded ....(more) within the past three years. 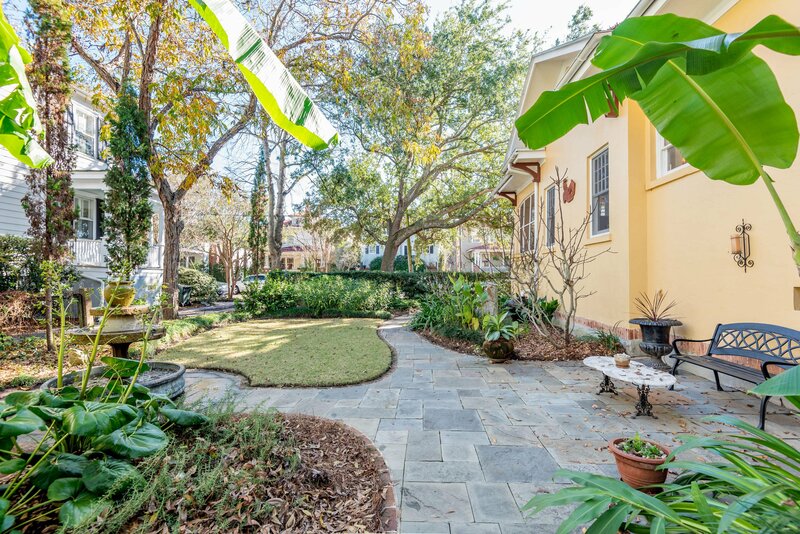 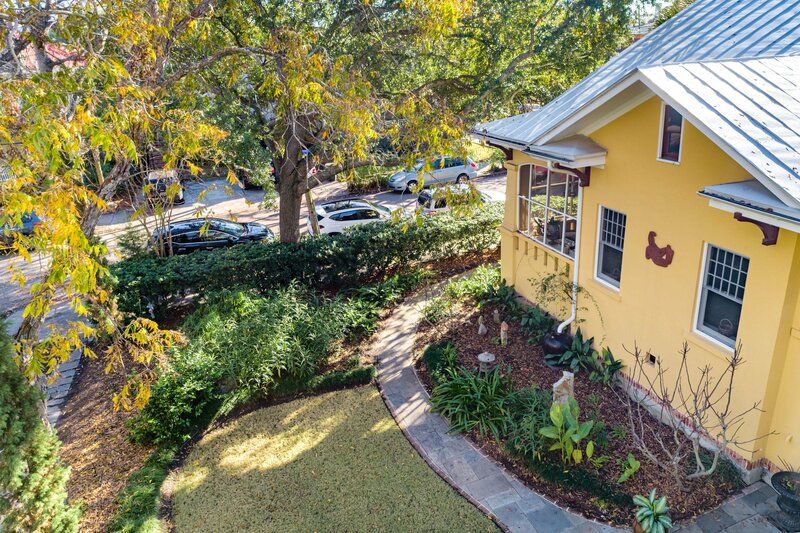 The outside is just as impressive, with a tiled, screened-in porch, a large courtyard, lovely side yard and patio, with an owner designed fountain, and beautifully landscaped gardens surround the home, offering incredible spaces for relaxing and outdoor entertaining. 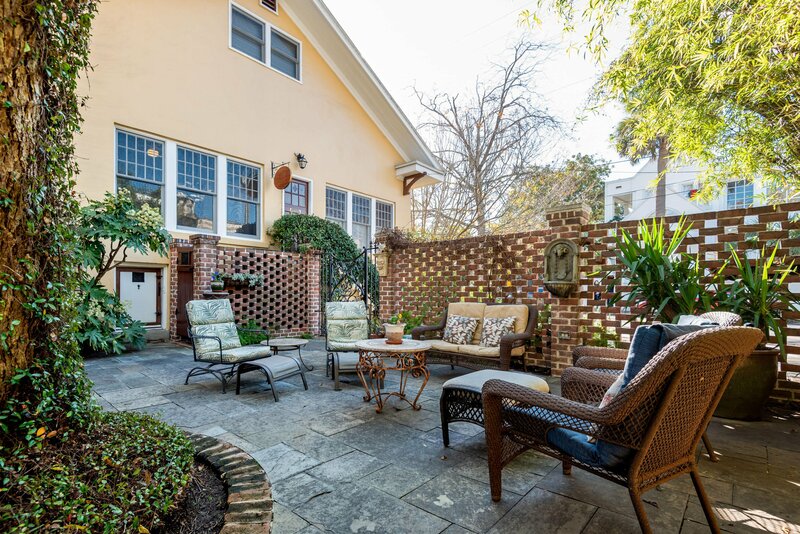 A brick wall and handmade iron gate add a serene element of peace and privacy. 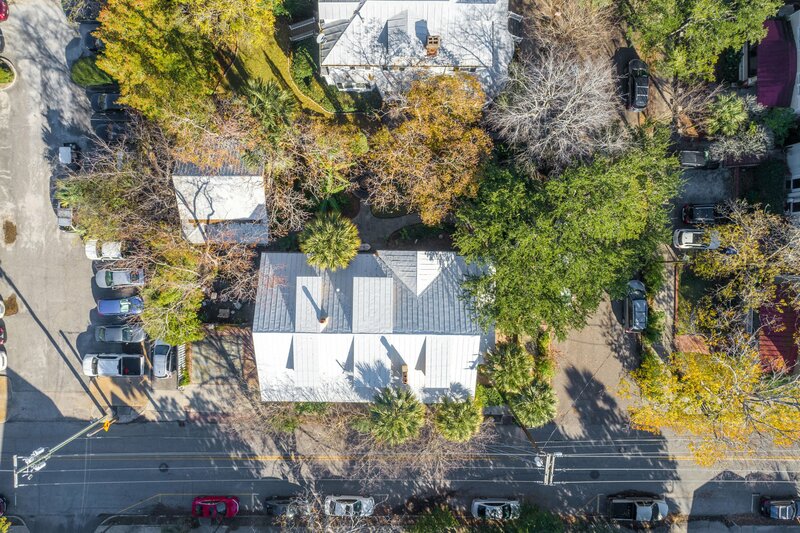 Even with so much within walking distance, the availability of three off-street parking spaces offers a convenience not usually found in the area. 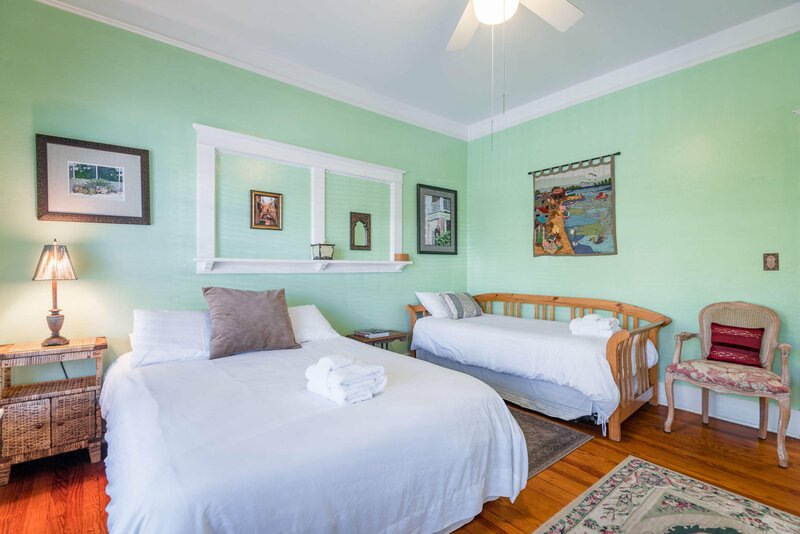 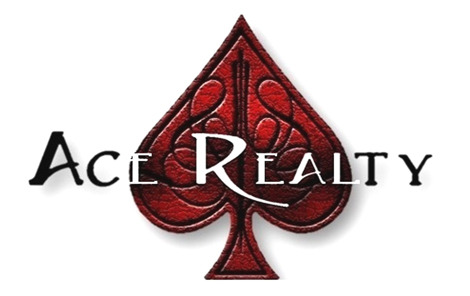 The current Bed & Breakfast license provides an income opportunity. 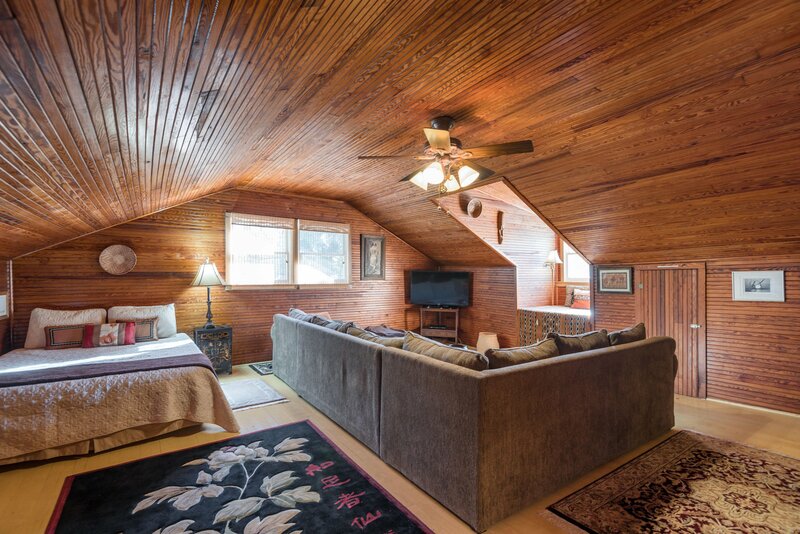 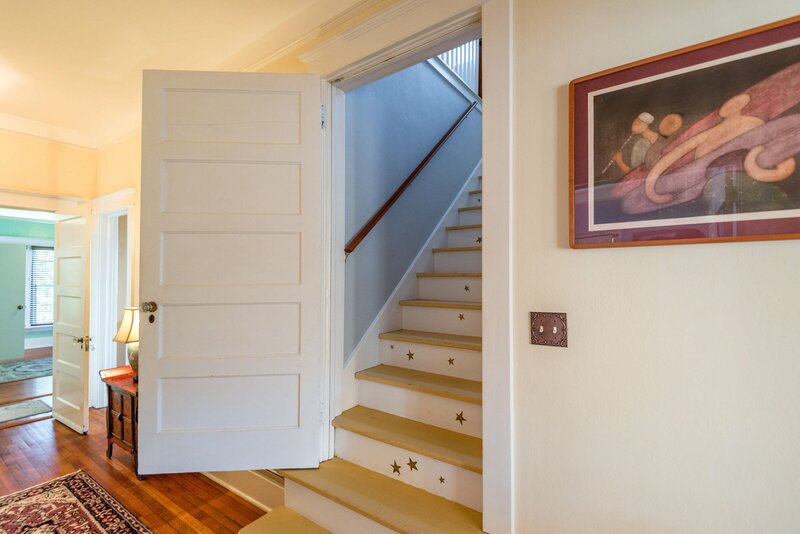 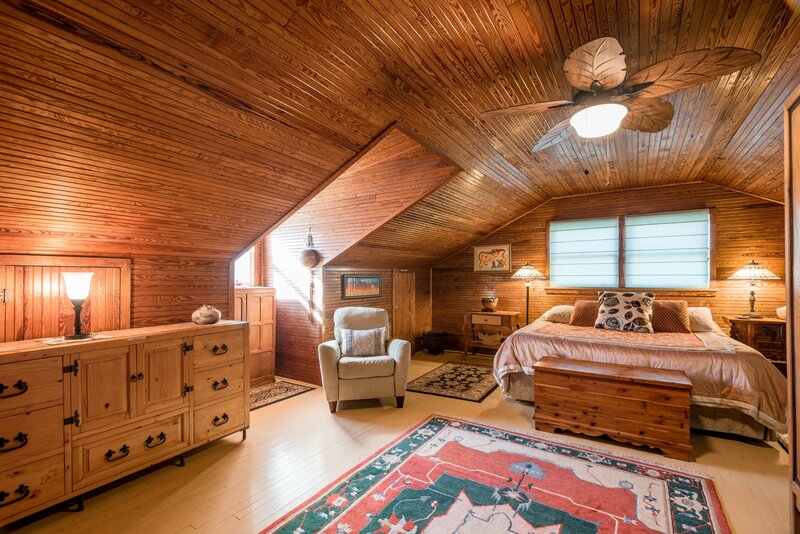 The two downstairs bedrooms can be accessed exclusively through their own entrance. 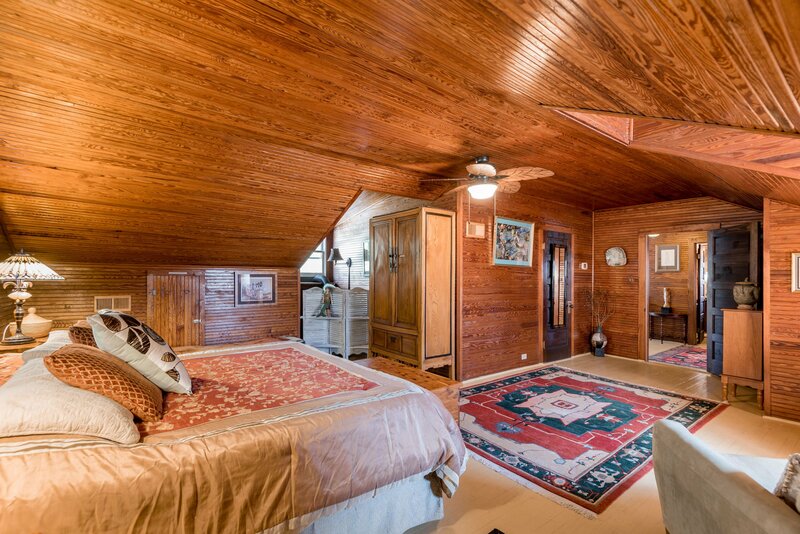 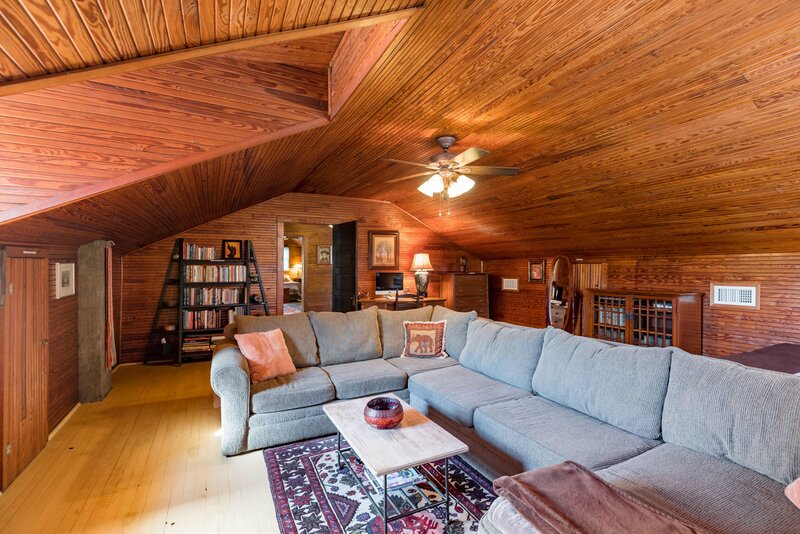 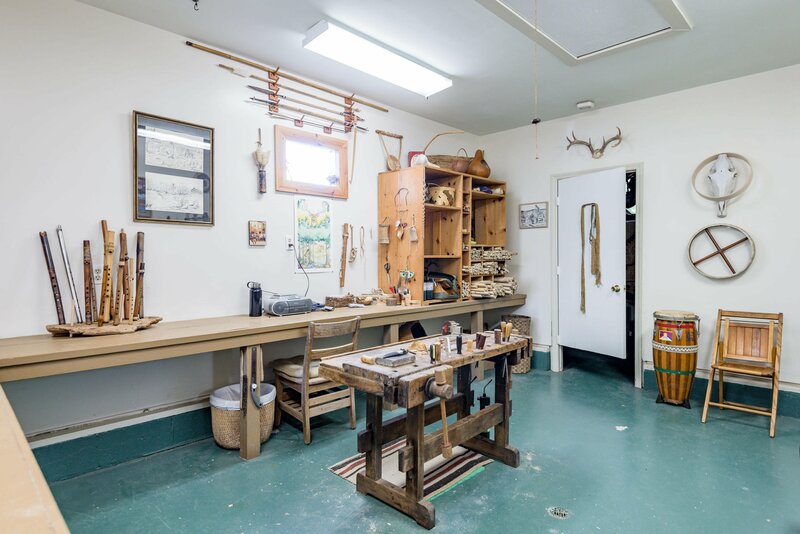 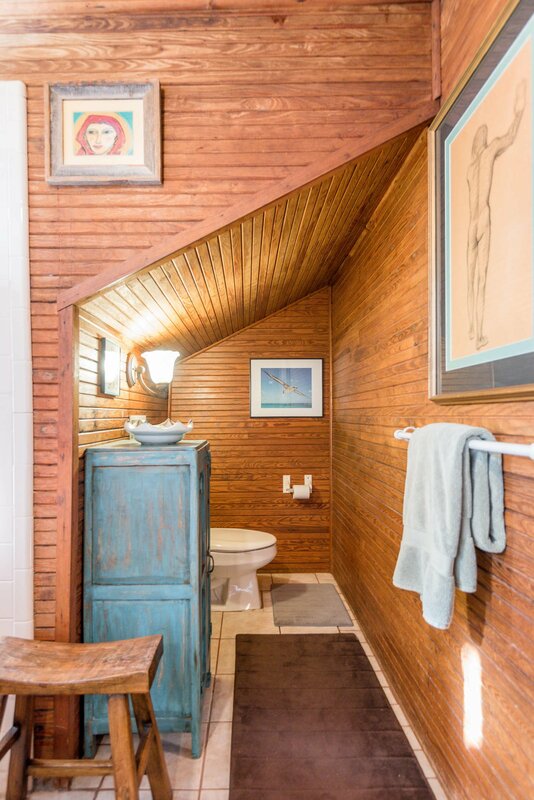 The property also contains an 800-sq. 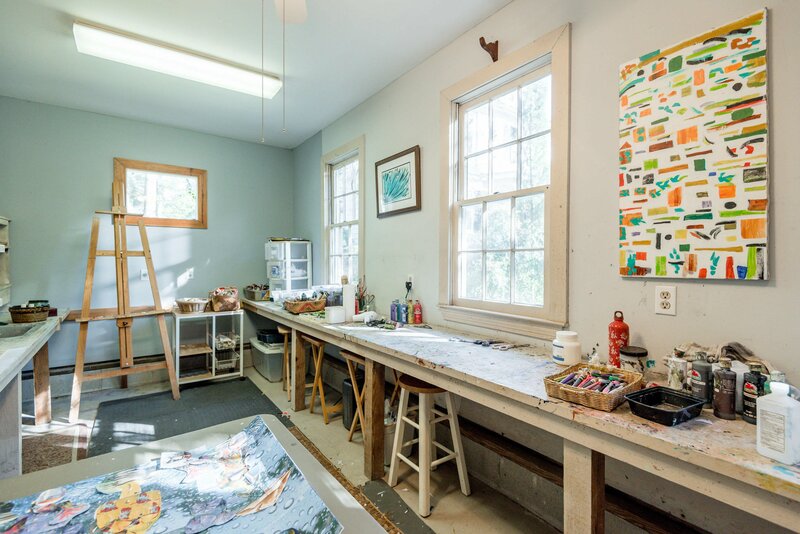 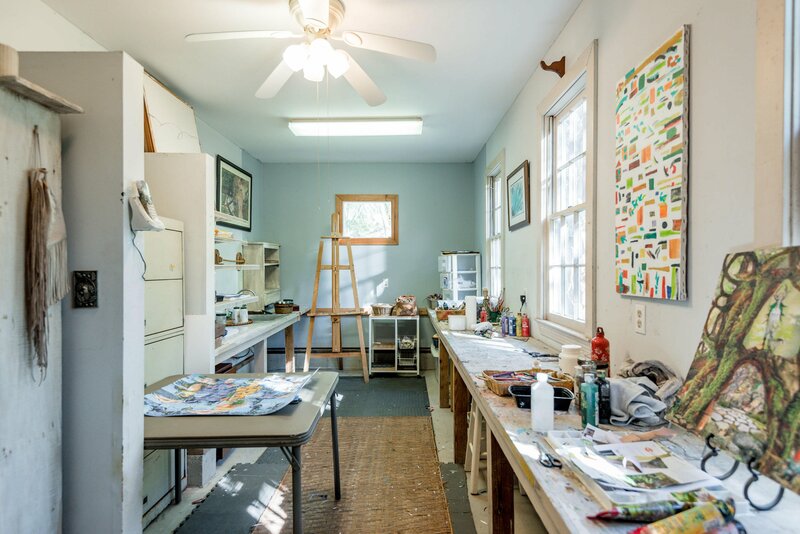 ft. detached art studio.